Master Index to Hounsfield History—A Combined Index to Nine Sources: more than 6,625 references to over 5,550 people from nearly 1,500 families discussed in sections about Hounsfield in major Jefferson County history books, including Brennan, Childs, Emerson, Everts, Haddock, Heiner, Hough, and more, contributed by Mark A. Wentling. 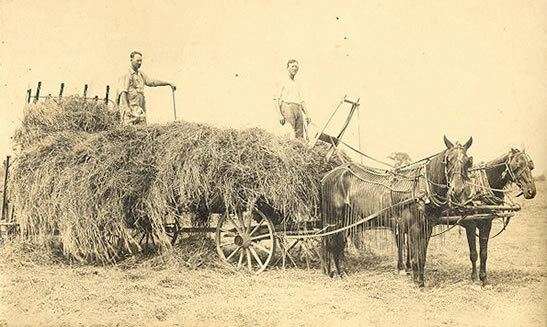 Across the Great Divide: 19th Century Emigrants from Dorset & Devon, England to Hounsfield, contributed by Mark A. Wentling. Bicentennial Ancestor Register: a list of past Hounsfield residents and their living descendants, with contact info, plus links to photos and related websites. Business Directory, 1866-1867: composite images of the actual directory pages, contributed by Mark A. Wentling. Business Directory of Sackets Harbor, 1894: from Haddock's "Growth of a Century," contributed by Mark A. Wentling. see the Every-Name Index to Child's Family Sketches of Hounsfield, compiled by Mark A. Wentling. Contributors to Evert's 1878 History of Hounsfield: indicates occupation, residence, and period of residence, contributed by Mark A. Wentling. Emerson's Hounsfield Family Sketches: seventy family sketches selected from pages 1 through 276 of the "Personal References" section of Emerson's Our County & Its People (1898). Every-Name Index to Brennan's "Images of America: Sackets Harbor" compiled by Mark A. Wentling. see also the Index to Farms: arranged by name of owner; search the "Town" column for "Houndsfield." Town Supervisors, 1806-1894: from Haddock's Growth of a Century (1894), contributed by Mark A. Wentling. Barnes Family: early residents of Sulpher Springs, contributed by Robert & Mary Martin. Merrick M. Bates: biography and portrait from Evert's 1878 History of Jefferson County, New York. Aaron Blodgett: a biography of this early settler, written in 1859 by Solon Massey. Camp Family Bible Records: from the Bible of George Hale Camp, contributed by Mark A. Wentling. Cobb Family: descendants of Joseph Cobb and Margaret Soules, and their homes, contributed by Mark A. Wentling. Cobb Family Group Sheets: from the research of Florence Secor. Crandall Family Group Sheets: from the research of Florence Secor. Abby Fall & Anson Potter: biographies and portraits from Evert's 1878 History of Jefferson County, New York. Daniel Fawdrey Home (bef. 1855), corner of Fawdrey Road & Old Salt Point Road, Camp's Mills. John A. Haddock: in his own words the author of Jefferson County's centennial history describes his family background and boyhood days in Sulpher Springs, contributed by Mary Martin. John Hogarty: Notes by his Granddaughter, Mary Ann Pew-Cornish: surnames include Day, Delaney, Olcott, Perry, Winnegar, contributed by Mark Martinson. Emmanuel "Manuel" Jeffrey, 1837-1922: stagecoach driver, Merchant, and Church Sexton: his obituary, plus biographical details, photos, and links, contributed by Mark A. Wentling. Benjamin Orchard Family: early residents of Camps Mills, contributed by Robert & Mary Martin. Andrew Smith: biography and portrait from Evert's 1878 History of Jefferson County, New York. 19th-century Calling Cards from the Washburn Family: includes surnames Angel, Austin, Bass, Clark, Davenport, Dingman, Eveleigh, Fawdrey, Hall, Harris, Knight, Lane, Manley, Mathews, Maxon, Metcalf, Patrick, Rice, Signor, Smith, Stokes, Stoodley, Washburn, Waterbury, contributed by Mark A. Wentling.